HomeMotivationalTo enjoy the glow of good health, you must exercise. 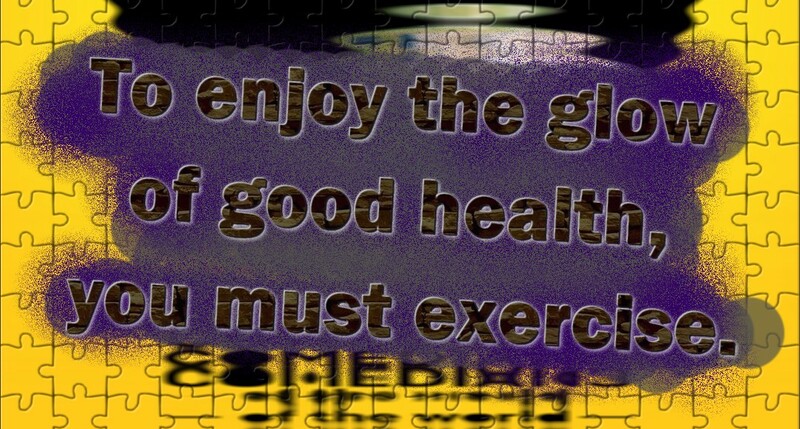 I might not master this myself, but I do know the importance of exercising. I know that if I want to enjoy life as a happy pensioner and sporty grandfather, I need to take care of my body right now. To be honest, I get really happy whenever I have the chance to go for a long walk, go swimming, or enjoy a good run somewhere. But, I do not get the chance to frequently, but still – I love exercising. But, just as important when I think about living a long and healthy life, is to eat correctly and take care of our bodies in that way. And that is much harder for me. I love eating snacks and chocolate, and maybe a little bit too much of it.